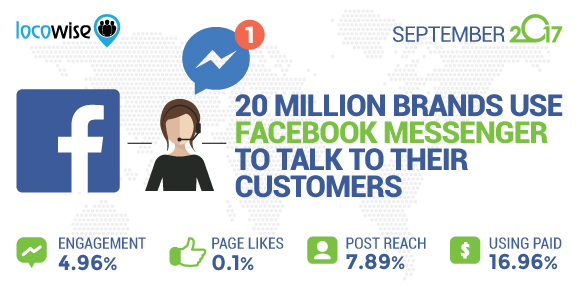 A report on Facebook growth and engagement for brands in February 2018. Before we dive into what happened on Facebook in February 2018, let’s, as always, crunch the numbers a little. We’ve introduced a new grade card feature. We use our own judgement for three categories of metrics: reach, growth and engagement. The three areas are graded and then the platform receives a final, aggregate grade. Reach was at 6.38% compared to 7.21% in January. Photo reach was 6.46%, and that’s a drop compared to January’s 7.13%. Links and their reach was 6.46%. It’s not good news for the platform because 7.63% was the figure in January. Video reach was at 6.02%, which is a drop from the 7.72% in the first month of 2018. And when it comes to status update reach, that was at a low point, coming up as 5.13%. Not good, compared to January’s 5.54%. 12.73% of pages used paid advertising. Back in January, that figure was 17.27%. Paid reach was 37.02% of the total reach, a real explosion when you rack it up against January’s 23.85%. That’s huge, and could possibly have something to do with Zuckerberg’s change of approach that he made public at the start of the year. 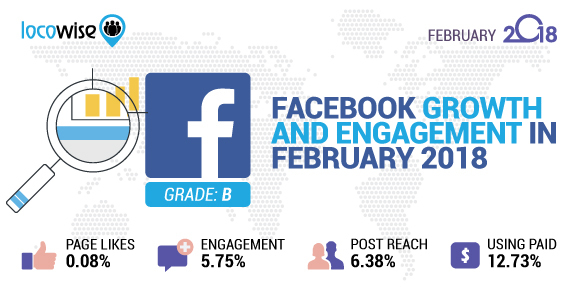 Engagement in February stood at 5.75% of the people reached. Back in January it stood at 5.3%. Videos on the platform engaged 7.49%, a healthy increase compared to the previous month’s 6.96%. When it comes to photo engagement, it was at 5.22%. Back in January 2018, photo engagement was 4.97%. Link engagement was at 4.73%, up on January’s 4.68%. Status update engagement was 4.42%, and in January it was 4.24%. Facebook fans growth in February 2018 was at 0.08%, another disappointment compared to January’s 0.09%. With the rest of the world still reeling from the evil news feed algorithm change that the company introduced, it’s kind of comforting to note that Facebook doesn’t have quite the power we thought it did. Or maybe that’s what Facebook thought it did. Whatever. The news feed can be gamed. It’s official. 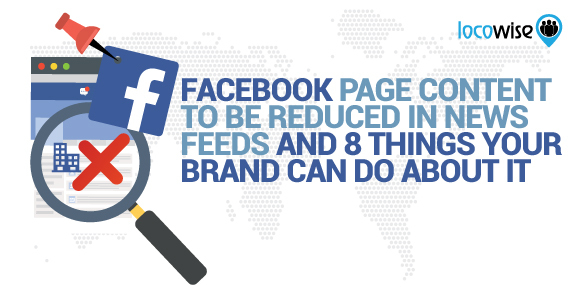 A recent post showed that all you have to do, apparently, is the opposite of what Facebook wants you to do. Basically, get a ton of comments and you’ll find your content at the top of everyone’s newsfeed. Not quite what Facebook intended, but this apparently works, just the same. Now who’s going to tell Mr Zuckerberg? For years Facebook users have been asking for a ‘dislike’ button. It’s something a lot of people want, and perhaps it’s the one thing that will change Facebook forever. Being able to dislike stuff as well as like it will give the very last slice of power to users. But Facebook has always said it will not offer the feature, possibly as a result of the company being too nice to dislike anyone. However, the landscape has just changed a little. For about 5% of Facebook users on Android in the USA only (how’s that for a niche demographic?) there is currently an ability to ‘downvote’ a post. It’s temporary, and is purely a way for Facebook to measure how such an option would work. That’s what Facebook is saying anyway. The idea is that the downvote will allow people to flag up stuff that isn’t meant to be on a newsfeed, such as fake news or ‘off-topic’ content. But even the least cynical person in the world would agree that this seems to be a step closer to that button that the planet has been waiting years for. Excuse the subhead there, but there’s been a bit of a problem with what was supposed to be the biggest thing since sliced bread. Facebook Live was once the darling of the company. It was often touted as something that would change the Internet, and it looked like Mark Zuckerberg was fully behind it all the way. Apparently, Watch, which has a very positive reception whenever anyone brings it up, is what Facebook is now seeing as the Next Big Thing. We don’t know what happened to Live, to be honest. The buzz was all about Live last year, and now it seems to have become suspiciously quiet. Messenger becomes slightly more annoying? It’s possible. And recent news seems to back this up. Messenger now has the potential to carry yet another ‘branding message’ weapon for companies. Messenger Broadcast will allow brands to send out a quick blast to people they have struck up a conversation with on Messenger. It’s advertising, basically, and the concern is that Facebook may be on the verge of making Messenger one big spam folder. We can see that happening. The one thing Facebook does not do is turn down money. And if brands see Broadcast becoming a paid-for tool, it’s still cheaper and quicker than setting up and running a quality bot. Watch this space, but our money is on Facebook Messenger becoming an ad platform sooner than you might think. It’s an intriguing thought, but the boss of Facebook has stated that he doesn’t want to run the United States. However, his recent behaviour has brought about a fresh round of speculation on the issue. And what was especially interesting about what happened is the way it illustrated a few things about the founder’s personality. Facebook hired someone to measure the public image that Zuckerberg has. And when we say ‘Facebook’ we mean Mark Zuckerberg. No one that powerful allows anyone else to decide whether or not his profile is going to be scrutinised and analysed, with a view to looking for faults. The guy was called Tavis McGinn, and he had worked at Google before. Facebook were originally going to be using him for market research but then he landed the job of monitoring and reporting on Zuckerberg’s online presence and approval ratings. So very similar to someone who is running for public office, but he’s not running for President. The Watch thing strikes again. Facebook wants to ensure that it becomes a rival to YouTube. This is no small desire because YouTube dominates video. Don’t get too excited just yet. Facebook is currently discussing the possibility of opening up Watch to individuals. As in not doing anything about it. But it’s another expected step for a brand that has the most marketable name in social media. More video watch times, mostly because the users are creating the content, means more advertising. It’s not cynicism, it’s just true. Facebook is looking very closely at the way it handles metrics and this suggests that a sea change is on its way. It’s going to get rid of metrics that don’t matter, and offer support to advertisers on how to get the most out of their ad experience. It all sounds rather pleasant, and it’s proof that Facebook watches its numbers very carefully.The whole thing (probably) came about because brands have expressed a frustration with the numbers Facebook gives out. These brands want transparency, so they can be sure they’re getting more for their money. If you’d like to get your hands on some amazing metrics that tell you all you need to know about your clients and their position on social, take out a free 7-day trial of Locowise now.